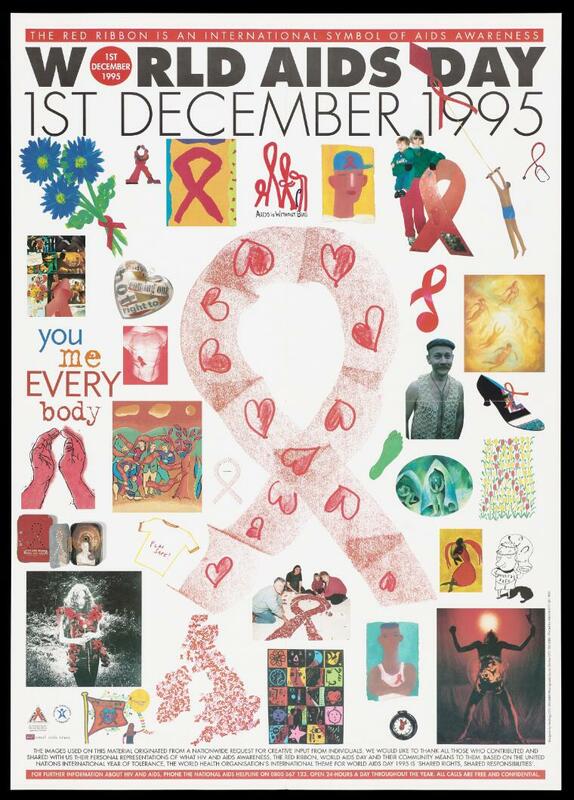 A large red ribbon decorated with hearts in the centre of numerous other artistic impressions of the red ribbon symbol representing an advertisement for World Aids Day by the National Aids Trust. Colour lithograph, 1995. [London] : National Aids Trust, 1st December1995.